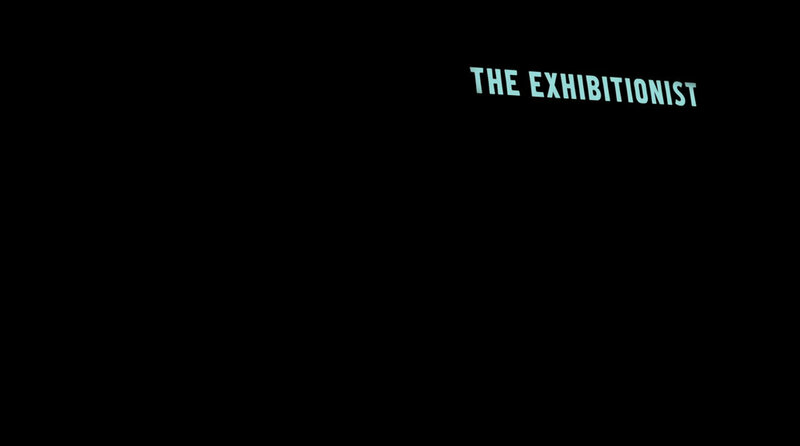 The Exhibitionist Page — Happy Product, Inc.
Click to watch an extraordinary pixilated journey through MOCA's exhibition Art in the Streets at The Geffen Contemporary at MOCA, as works by BANKSY, RAMMELLZEE and KENNY SCHARF come alive around him. 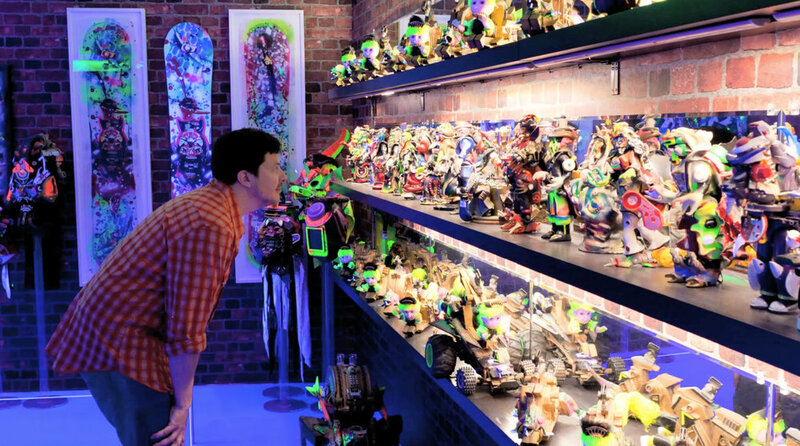 A man and his suitcase take an extraordinary pixilated journey through MOCA's exhibition Art in the Streets at The Geffen Contemporary at MOCA, as works by BANKSY, RAMMELLZEE and KENNY SCHARF come alive all around him. Directed by brothers Mark Osborne (MORE and KUNG FU PANDA) and Kent Osborne (ADVENTURE TIME, SPONGEBOB SQUAREPANTS), this short film was created in an improvisational fashion during three very busy days at the museum. This film was made in collaboration with the Levi's Film Workshop and Happy Product, Inc. 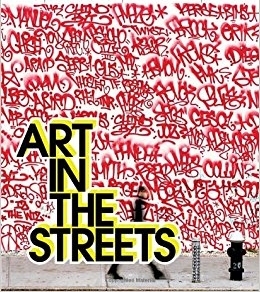 The Museum of Contemporary Art presented 'Art in the Streets', the first major U.S. museum exhibition of the history of graffiti and street art, from April 17-August 8, 2011, at The Geffen Contemporary at MOCA. The exhibition traced the development of graffiti and street art from the 1970s to the global movement it has become, concentrating on key cities where a unique visual language or attitude has evolved. 'Art in the Streets' showcased installations by 50 of the most dynamic artists from the graffiti and street art community, including Fab 5 Freddy (New York), Lee Quiñones (New York), Futura (New York), Margaret Kilgallen (San Francisco), Swoon (New York), Shepard Fairey (Los Angeles), Os Gemeos (São Paulo), and JR (Paris). MOCA’s exhibition emphasized Los Angeles’ role in the evolution of graffiti and street art, with special sections dedicated to cholo graffiti and Dogtown skateboard culture. The exhibition featured projects by influential Los Angeles-based artists such as Craig R. Stecyk III, Chaz Bojórquez, Mister Cartoon, RETNA, SABER, REVOK, and RISK.